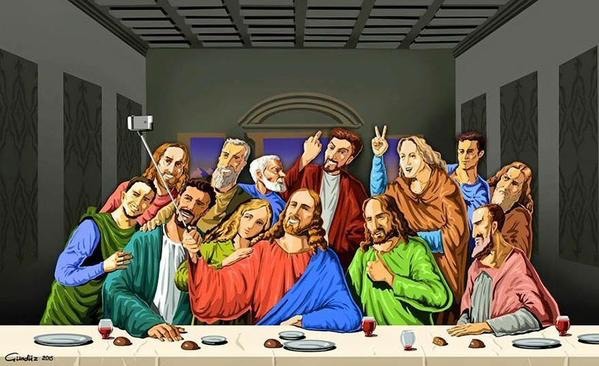 So recently on Twitter I saw a post asking, “If you could take a selfie with anyone, living or dead, who would you choose?” I saw many replies with various celebrities, athletes, politicians, and other famous people, but one person was noticeably absent, Jesus Christ! It perplexed me. Sure, I wouldn’t mind standing next to a really famous person, taking a picture and posting it to social media and watch the “likes” and “hearts” appear, but imagine the possibilities if you get the opportunity to stand next to Jesus. I think that picture would get a lot of attention. I’ve met a few celebrities in my day, most before the appearance of smart phones and the advent of the selfie. So I didn’t have the chance, but now I’d grab that opportunity. To stand with Jesus, even for a short time and maybe get a question or two answered would be incredible. To be able to answer just one question alone, and then be able to share with others the experience, would be absolutely life changing. I’ll admit that being next to a celebrity would be pretty cool too, but the ultimate celebrity in Jesus Christ would be unmatched. Part of the problem though may be that in trying to take a selfie with Christ, is that could our cameras account for His glow, or would that glow cause the picture to be over exposed? I’m sure that Christ could make the picture perfect, but would He want to? He has already spent over 30 years of His life living amongst the sinners, and even in His perfect state that must have been very difficult. To now ask Him to stand within the sinners again, and to get close enough to have a selfie taken, may be too much. But the dream is nice. I wonder, if after having the selfie taken and posting it to Facebook or Twitter, and “tagging” Jesus, if He would consider adding me as a friend or follower? Imagine having Jesus follow you on Twitter or like you on Facebook. I checked and the most recent numbers show that Katy Perry (singer) has over 100 MILLION followers on Twitter, and Christiano Ronaldo (soccer player) has over 120 MILLION likes on Facebook. According to Google, there are over 2.2 BILLION Christians in the world, so I think that if Jesus were on either Twitter or Facebook, His numbers would be much higher than Katy or Christiano. But I imagine getting Him to follow you back would be tough! But it’s all just speculation, because eventually you will be able to get your selfie with Jesus and He will follow you, except it will not be on social media, it will be in real life, when we join Him in Heaven. At that point, you’ll be able to ask Him anything and everything and get the answers, but until that day, we’ll just have to be happy with the interaction that we have. Don’t focus on celebrity on earth, the real celebrity is our Lord and Saviour, Jesus Christ! Previous Where Is Your Church?